Motherhood is an interesting concept. When you are a young girl it consists of questions like, who will I marry? What will I name my children? How many kids will we have? And as we get older then it becomes, should we use birth control? When should we have kids? How far apart should they be? How will it feel to be pregnant? But I don’t think any young women ask themselves…will I be the one that can never get pregnant? Will I ever carry a child? How do I handle the pain? At least I never thought it would be me. But it was. Infertility was easily the hardest thing I have ever gone though. It was hard physically, spiritually, mentally and especially emotionally. This is the ONE thing every girl is supposed to be able to do. God made us that way. Yet I can’t. For four long years, my husband and I went through all the testing, medications, surgeries, and of course the ups and downs of each excruciating month, when I would realize once again that my body failed me. And I continued to ask myself, is this God telling me that I was not meant to be a mother? Should we just give up and focus on something else in life? Why is this happening to me, when everyone else in my family has no problem getting pregnant? What did I do wrong? I can’t express the grief and pain that comes with not being able to conceive a child. It was hard to watch others get pregnant and become mothers. To want something so bad and not be able to make it happen. To suffer during the many mother-oriented things like Mother’s Day, baby showers and others’ ultrasound pictures. To feel the guilt about not being super excited about the pregnancy announcements when they came in droves. Somehow through all of this pain my heart began to warm up to the idea of adoption. In 2008, I prayed for six months that my husband would want this too. And, on Christmas, he gave me two books on adoption to let me know that he, too, was ready to go forward with that step. Adoption is a long, tedious, hard and absolutely rewarding adventure! In January of 2009, we started the process of paperwork and getting our life story written out. We picked a local agency who worked with open adoptions from our city. Because of the stories we’d heard about children being given back to their biological parents, we were very nervous about open adoptions. But one weekend we went to a seminar where the agency had a few birth mothers come and speak about their decisions to put their child up for adoption. We were blown away by the bravery and love that these women had for their children. It opened our eyes to a whole new concept of what an open adoption was and how hard it is for these women to make a decision like this in the best interests of their child. It was a powerful day and I can honestly say now that these women are my heroes. We finished our profile at the end of March in 2009. Ironically, only three days later, on April Fool’s Day no less, we received a phone call that we had been picked as the potential parents for a baby! One day later our little miracle girl was born and we were blessed to be in the room to watch the birth. It was exciting but to say this was a life change was the understatement of the century! Being prepared not to get our hopes up and convinced that the process would take a year or more, we had NOTHING ready for a baby. God amazingly provided for us through many friends and family members, and we managed to get our home and ourselves together with a new little girl. For various reasons (problems in the birth mother’s life and an inability to find the birth father to get a signature) it took eight long months for the adoption to be finalized, but we finally became legal parents. Two years later, we went on to adopt another child, this time a boy! Our son’s adoption took a more common route and we were able to develop a relationship with the birth mother over the last five months of her pregnancy. I was even able to go to an ultrasound with her and see our baby boy for the first time! As with any adoptions, there were ups and downs in our emotions. At one point, a few weeks before he was born, we found out that he has some Native American heritage, and as such, we were told that the likelihood of the adoption going through was very slim. But thankfully, the tribe signed off on his release and we were able to adopt him rather quickly, only two months this time! Adoption can be very expensive and we decided that he would be our last one. We had entertained the idea of foster care but were overwhelmed with the process. 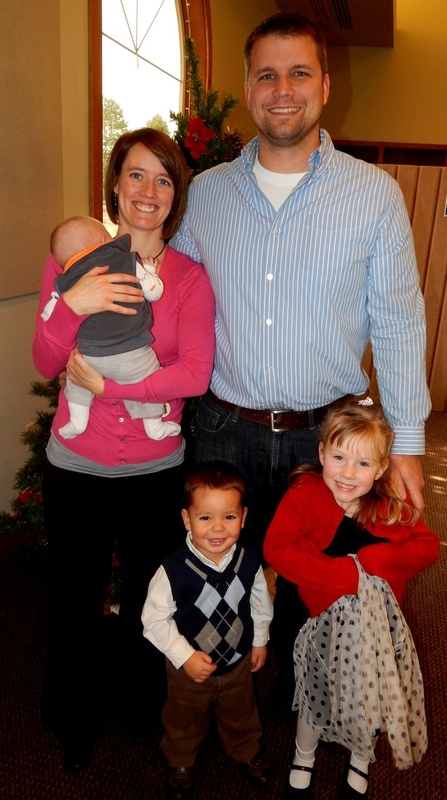 However, God had different plans for us, and in October of 2013, we were given fifteen minutes to make the choice of taking a little six-week-old foster baby from a family friend. We felt that God was putting him in our lives when we have been too fearful to follow our hearts. And he is currently still in our care as a foster child. 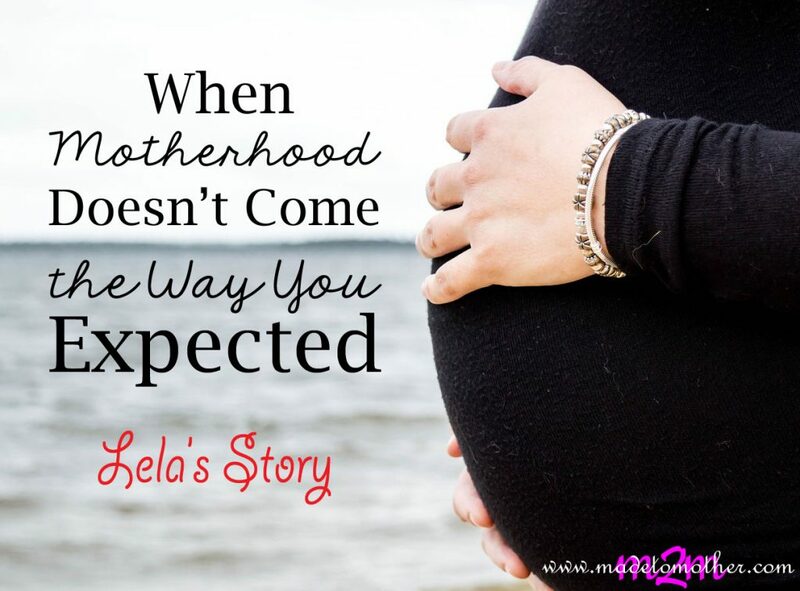 While my journey to motherhood was very different from what I had seen growing up and what I had expected to happen, when I look at my beautiful children, I wouldn’t change it a bit. I still have many doubts and worries about bringing up my kids, along with some added pressure that they will not appreciate their life’s journey, but I am thankful that God did have children in mind for me, after all! Lela and her husband, Ian, live in Washington State. She is a stay-at-home mom with her three kids, ranging in age from 7 months to 5 years old. How wonderful! These children are beautiful as well. What a beautiful, bittersweet story, Wynter! My body has not worked for me in many ways–so I can relate to that part–but not being able to have a child would have been gut-wrenching for me as well. I’m so glad you didn’t let that stop you from being a mom to the motherless. What cuties they all are too! I will pray for you and your hubby, that even this little foster child would become a permanent member of your family! What a wonderful personal story to share with so many….you guys are amazing parents to Megan and Cole and I am certain that is why God placed them in your life. They are your children in every sense as if they came out of your womb. It takes special people to adopt and you two are the best! Praying for easy adoption on your new little one if that is what is supposed to be. I am blessed to read your story having lived it with you from a far through these years as your Aunt by marriage. Although I haven’t struggled with infertility, I am blessed by your courage in sharing your story. I too am a different woman now, having walked 10 years of infertility with my best friend and believe more women need to know the cruel and often unintentional ways we isolate and hurt those who are unable to concieve or choose to be childless, mostly with our MANY words. Thank you Lela for your testimony and sharing your journey with others. God’s plan is indeed an adventure and one when we trust Him completely, is never as we thought, but He’s always faithful and loving, even when life tells us otherwise:) I love you and those 3 beautiful kiddos! Your husband is pretty great too! What a wonderful story. I can’t imagine the worry and pain you went through. But oh my wasn’t it worth it. Gods plans always work out. Congrats on your beautiful family!! Thank you for sharing your story. We too struggled with infertility and we just adopted a little boy from Eastern Europe. We’ve been home for 4 weeks now and he is such a blessing! I hope others reading your story will be inspired to look into adoption to expand their families. Wow – what a beautiful story! I have several friends who’ve also adopted. Thanks for sharing! Love this story. It gives me hope. I’ve recently been told I am infertile. I don’t think I could handle IVF. Adoption sits well in my heart. I’m leaving it in God’s hands for now. We’re going to wait to see how he decides to bless us. Thank you for opening your heart and home to children needing a forever home.